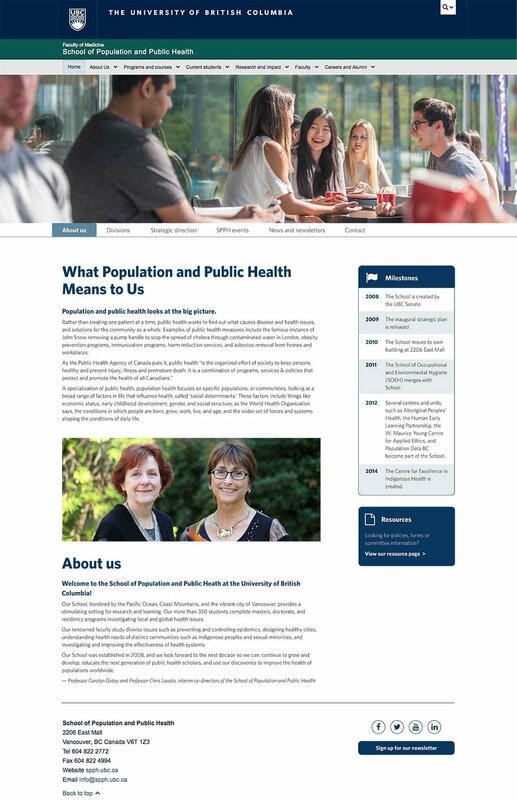 I was approached by the University of British Columbia's School of Population and Public Health (SPPH) staff to redesign several high visibility pages of their new website. 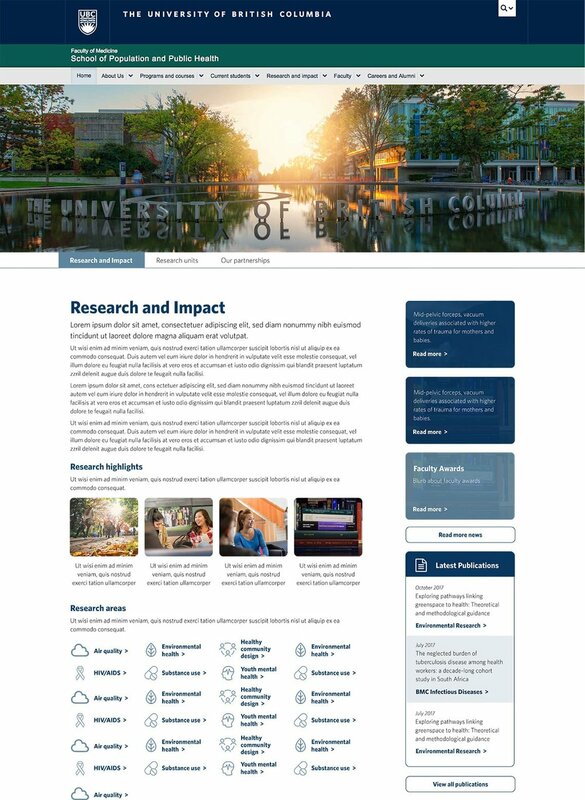 Responding to in-depth user feedback about what prospective students, current students, staff, and faculty desired, I was responsible for the sketch, wireframe, prototype and visual mockups. 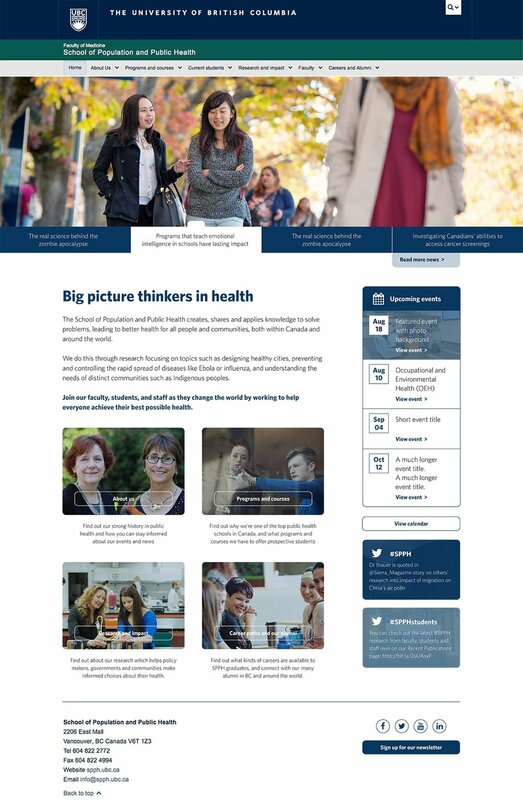 After launch, visits to the new SPPH website doubled and the average time spent on these pages tripled.